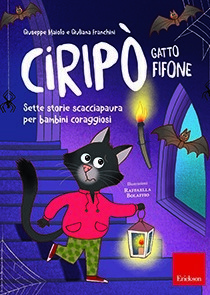 Starting from the new adventures of Ciripò, the scaredy-cat who is much loved by children, this book offers a path of emotional education for children 6 years and up. After reading the story, the children can identify themselves with the little black cat by playing with the cheerful and colorful cards attached. In this way they will learn to recognize and manage their emotions and grow up in a more serene and balanced way. «Ciripò is a very curious little cat, with shiny, black fur. The thing that he likes the most is going around looking around. He is very nosy, but he also has a lot of fears, especially of the dark and the night». This is a brief portrait of Ciripò, the shy, scaredy-cat who becomes the main character in many fabulous adventures, along with his other animal friends. During these adventures, Ciripò has to deal with the typical difficulties of growing up: fears, insecurities and various kinds of dangers. These are the same questions, difficulties, and unknown problems which children must confront themselves during the years of their growth and for which they often don’t have an answer. The logical explanations of adults may not be understandable, so reading Ciripò's stories allows children to identify with the protagonist, understand how things are going and find an answer to their insecurities and worries, feeling less alone. How were Ciripò’s stories born? 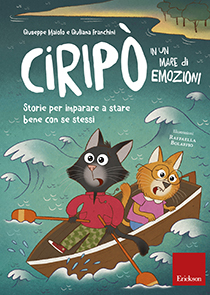 Ciripò’s stories were created by Giuseppe Maiolo and Giuliana Franchini, two childhood psychotherapists, who created these stories for use as a therapy tool for children with difficulties, capable of coming into contact and interacting with the inner world of children. The goal is to develop narratives which are useful for helping children grow up safe and independent. The first stories were written together with children, because during their telling, the children added personal elements to the psychotherapists’ stories, and in this way the narrative took one direction instead of another. In a second moment, the two psychotherapists invented stories that started from well-known childhood experiences, and went on to explore more usual emotions and feelings, stimulating the children to construct emotional maps. 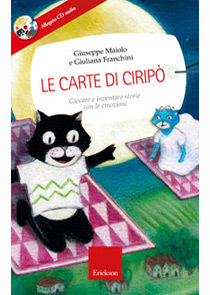 Ciripò's stories are designed to be read by an adult - parent or educator – together with the child. The suggestion for the adult is to read the story trying to interpret it through tone of voice, facial expressions and gestural gestures. This type of reading does not require absolutely any specialization or specific technique. All that is needed is the adult's willingness to get in touch with the child's imagination through his/her own inner child. 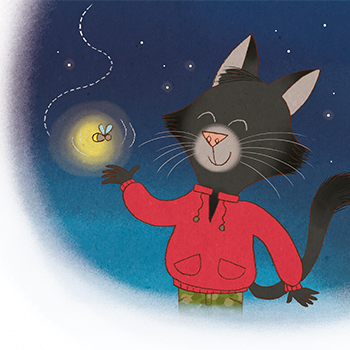 In these adventures, the little cat must face the fears that children experience daily during childhood: fear of growing up, fear of parents separating, fear of school, fear of having nightmares, fear of separation, fear of being different and not being accepted. This book talks about emotions like sadness, anger, and nostalgia, and how little Ciripò deals with and overcomes them. Ciripò’s emotions are the same ones experienced by all children, who often do not know how to deal with them. Reading these stories helps children understand what they are feeling and express their states of mind. In this book, Ciripò faces some of the most common fears that children experience when growing up, like the fear of being abandoned or of not being accepted. Through these stories, children acquire greater trust and understanding that difficult moments are important for growing up. 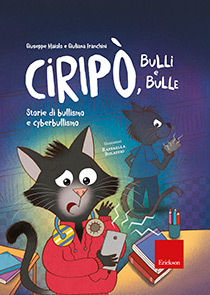 In the stories from this book, Ciripò, accompanied by his little sister Baffettina, deals with secrets that become more and more difficult to keep, and with the insidious dangers lurking behind one of the greatest resources of our time: surfing the internet. 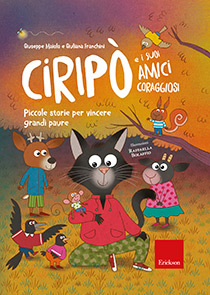 Starting from the new adventures of Ciripò, this book offers a path of emotional education for children 6 years and up, while also describing a useful method for inventing new stories together with them. After reading the story, children can identify themselves with the little black cat by playing with the cheerful and colorful cards attached, learning to recognize and manage their emotions. Giuseppe Maiolo Jungian psychoanalyst, journalist and writer, he was a lecturer in Sexual Education at the Faculty of Education of the University of Bolzano. Currently he coordinates the training activity of the Wellness Workshop in Puegnago del Garda (Brescia). For several years he was the scientific director of the Center "Il Germoglio" in Bolzano and of the University of the Family of the Exodus Foundation of Verona. Giuliana Franchini Psychologist and psychotherapist with a systemic-analytic orientation, she carries out clinical activities with adults and children. Creator and head of the Pollicino Project for the fight against child mistreatment at the "Il Germoglio" Center in Bolzano, she is a consultant in several kindergartens and primary schools, as well as a supervisor of social-health workers.